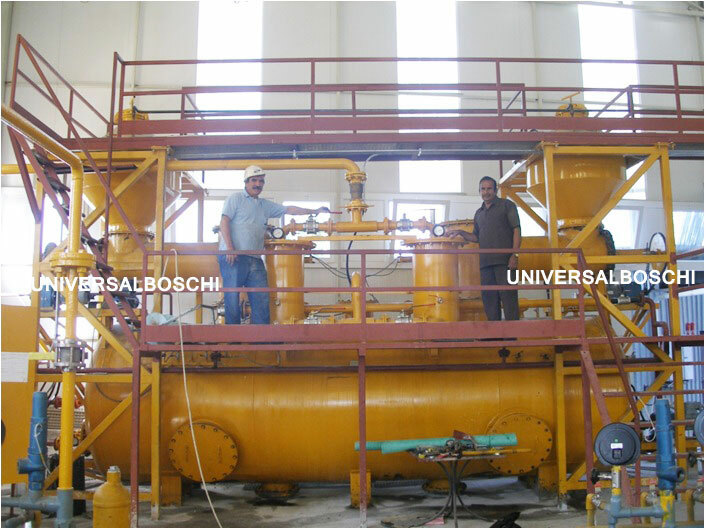 Manufacturing, fabricating and designing world-class acetylene gas plant with capacity of 200m3/hour is our specialty. We have been manufacturing the acetylene gas system for over three decades and have attained perfect expertise. Our plants are designed superbly and fitted with modern features. And, the entire working of the machinery is automated allowing a single operator to run it efficiently without having any technical knowledge. We use high grade stainless steel in our fabrication of machinery. Our emphasis is always on delivering quality machinery to our customers all across the globe. Being equipped with digital control system, it can let you manage all functions of the machinery. As a major acetylene plant manufacturing company, we are very focused on delivering machinery that world –class standards. Our manufacturing complies with ISO 9008: 2015 and CE standards. Acetylene gas is used wide range of industries because of its fuel efficiency. It is extensively used in Oxy-acetylene gas cutting, flame cutting and welding. Steel or metal industries have on-site acetylene gas plants for generating their own gas. These industries have heavy requirement of acetylene gas and so they cannot rely on vagaries of acetylene cylinder supplies. Acetylene gas is known for excellent heating with minimum thermal waste. Moreover, oxygen needs minimum oxygen for its combustion, which increases its usefulness. Acetone is used with the fuel for stopping decomposition. A great amount of heat is generated as a result of reaction between calcium carbide and water, which needs to be contained as is so effectively done in our acetylene systems in order to stop explosions. Calcium carbide is first powdered in the pulverizer before they are reacted with water. Our acetylene gas plants can produce acetylene gas 24*7 without any interruption. Superbly constructed and designed, the plant machinery can make as much of fuel gas as you want. And, you can store the fuel gas in acetylene tanks for a contingency. On purchasing an acetylene system, you can remain assured that that your manufacturing processes will not suffer because of irregularities of acetylene cylinder supplies. 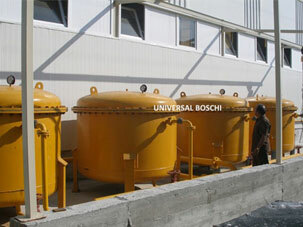 On the other hand, our plants can also be used with cylinder filling manifold and storage. We take great care in building and designing acetylene gas plants that deliver smooth and enjoyable experience of running our machines. Implementation of automation in our acetylene plants is superb. A single operator without any technical knowledge can operate it. Being fitted with a fabulous digital control system you can all the functions from a control panel. We strongly advise you change compressors and filter components regularly to keep them in top working condition. We manufacture and fabricate acetylene gas plants in complete compliance with internationally approved standards. Acetylene is a highly flammable gas and can cause potential hazards if safety standards are not followed strictly. It is strongly recommended that acetylene gas is transported, stored and handled exactly as per the safety standards and measures approved internationally. If you do not follow safety standards and measures can result in accidents. It is imperative that you take all recommended precautions while handling acetylene standards. It goes without saying that running a gas business is a lucrative option even though it requires big initial investment. 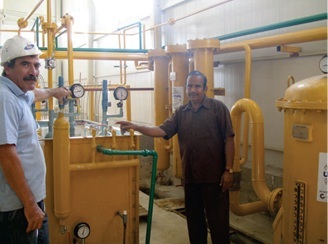 On buying an acetylene gas plant from us, your investment will turn break-even after two years. And, your profits will continue to run for a long time. In the foreseeable future, you will continue to make profits as industrial gases will remain in demand. Acetylene gas is used in other industries as well apart from steel, chemical and metal industry. It is also used in making plastics and organic synthesis. Needs minimum maintenance and cost of operations is also low.